How Much Is Ford Worth? Learn about Ford's performance in the market before investing. In its hundred-plus years in business, Ford has had to weather wars, economic swings, and competition with the other automakers, especially those making up America’s Big Three: General Motors and Fiat Chrysler. Amid these challenges, even its most popular models from the past few decades haven’t been enough to ensure its dominance. Read on to see what the company has in store for consumers and investors and whether its upcoming business moves are calculated risks that could pay off. Click through to learn about Ford’s $11 billion investment in electric vehicles. All information on 52-week range accurate as of June 19, 2018. Ford’s market cap has ranged between a little under $40 billion and over $50 billion from June 2017 to June 2018. Though still a titan in the auto industry, investors should note that Ford’s stock has trended downward since the end of 2015. Although market cap gives you a sense of what the market values a company at, it’s based entirely on market sentiment — essentially reflecting the ever-changing opinions of investors — and it can change hourly. The GOBankingRates Evaluation, however, calculates a company’s net worth based on measurable figures like assets and revenue. It’s a more conservative valuation taking into account full-year profits and revenue from the last three years and the company’s assets and debts. Based on Ford’s revenue and profits from the last three years, Ford is worth more than $140 billion. Ford has survived two world wars, the Great Depression and massive vehicle recalls but faces new competition in the form of industry disruptors like Tesla and Uber. These factors might help explain why Ford’s stock price has fallen by about 17 percent in the past five years. Its large number of assets — larger even than General Motors’ pool of financial resources — and ability to generate hundreds of billions in revenue make its stock potent, however. The company is looking ahead to capitalize on car market trends by investing in electric vehicle technology and changing its model lineup. With the exception of the Ford Mustang and one new Ford Focus model, its cars — including the Fiesta, Taurus, Fusion and the existing Focus — will no longer be available in North American markets. By 2020, “almost 90 percent of the Ford portfolio in North America will be trucks, utilities and commercial vehicles,” CNN Money reported in April 2018. 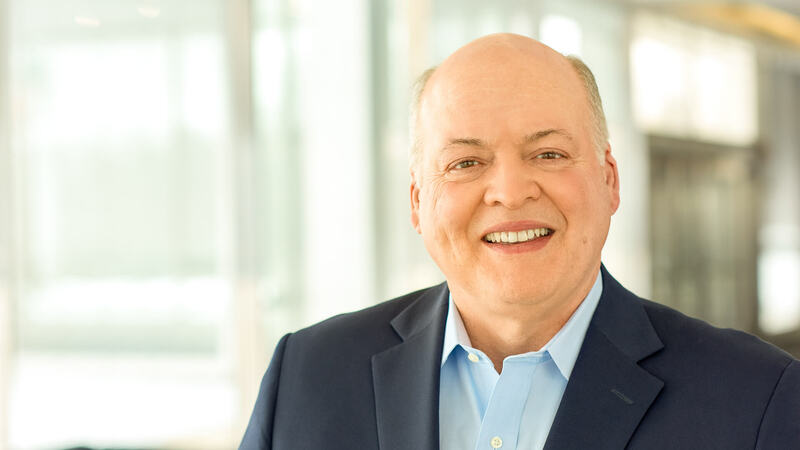 Investors should also note the company’s new leadership under Ford CEO Jim Hackett, who replaced Mark Fields in May 2017 due in part to the latter’s inability to boost Ford share prices. Hackett’s business strategy so far seems to be reprioritizing the company’s inventory, including nixing its sedans, working on adding hybrid engines to maximize fuel economy, and purchasing space the company plans to transform into the centerpiece of a new campus. Ford was founded by Henry Ford near the turn of the 20th century. The company’s Model A was first sold in July 1903, and the company’s genius use of assembly lines to increase mass production turned the car maker into one of the most recognizable brands in the country. More recently, the Ford F-Series truck has been Ameria’s best-selling pick-up truck for more than four decades. GOBankingRates > Making Money > Business > How Much Is Ford Worth?